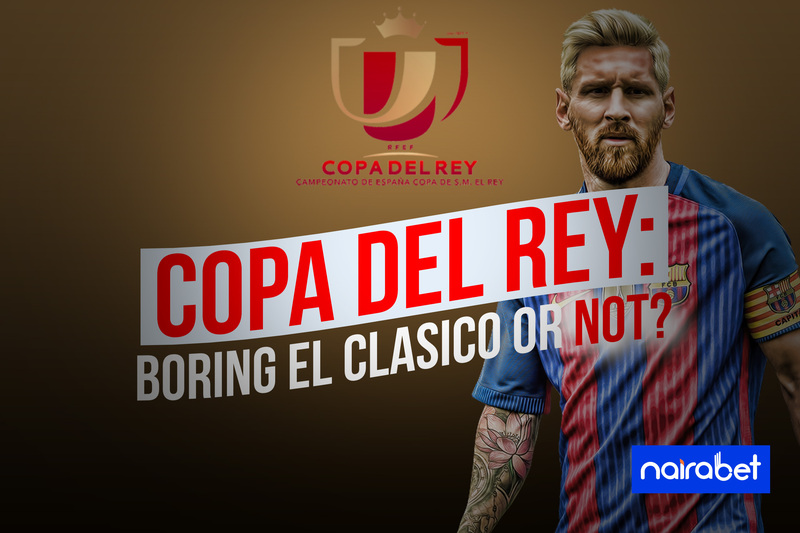 Copa del Rey: Boring El Clasico or Not? Last week, the draws for the semi-final of the Copa del Rey was made. Since the turn of the year, it has been end-to-end stuff in the cup competition. And it has been quite the journey for the four clubs that still remain in the competition. No team from outside the La Liga was able to make it to the quarter-finals. And as we look forward to the semis, all talk have been geared towards the draws that were made and the fixtures to anticipate. While Real Betis will take on Valencia this week, the clash everyone is looking forward to seeing is the one between Barcelona and Real Madrid. It will be the first of three El Clasico games set to be played in the space of a month. Which team will win the first El Clasico to be played this week: Barcelona or Real Madrid? 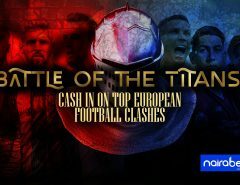 The first leg of the clash will be played at the Nou Camp. This will be quickly followed by the return leg on the 27th of February. Then the early days of March will see both teams play at the Santiago Bernabeu in a La Liga clash. In years past, every El Clasico came with one kind of buzz or the other. The deep-seated rivalry was taken to yet another level during the Mourinho days. There was even a season where fans had the once-in-a-lifetime opportunity to watch like five El Clasico games in one season. And it almost didn’t get boring (there was always drama on and off the pitch). Another El Clasico is around the corner. And this one has a lot riding on it, especially for a team like Real Madrid. Although Barcelona dropping points over the weekend, they’re still favourites to win the league title. That leaves Real Madrid with just the Copa del Rey and UEFA Champions League title to win this season. Should they fail to win either competition, Real Madrid will have to go a season without winning any trophy. All of these are what makes the Copa del Rey edition of the El Clasico one to look out for. Nevertheless, there’s still a huge question mark hovering over the two-legged affair. The past 15 El Clasico games played at the Camp Nou has seen both teams score in them. 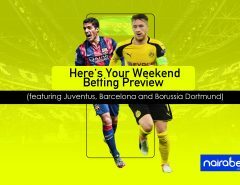 With Cristiano Ronaldo gone, what is the probability that this game will not be a boring one? Taking into consideration the recent form of both teams heading into this game, it’s surely a game to look forward to. 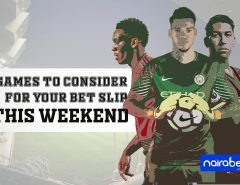 However, what are the chances that it will not turn into a one-way affair after kick-off? Of course, the goals are guaranteed going by the recent history between both sides. But will this one be different from the other editions that have been played? What are your expectations for this El Clasico clash? Do you think it will be boring or not? Leave us your comment and share your thoughts with us.